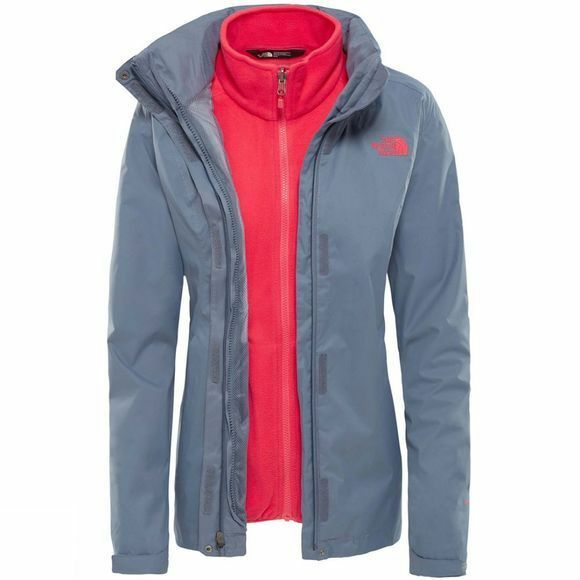 Technical and sporty, The North Face Women’s Evolve II Triclimate Jacket combines a waterproof DryVent shell with a removable soft fleece inner. The DryVent shell is waterproof, breathable and seam sealed for excellent protection in wet weather. 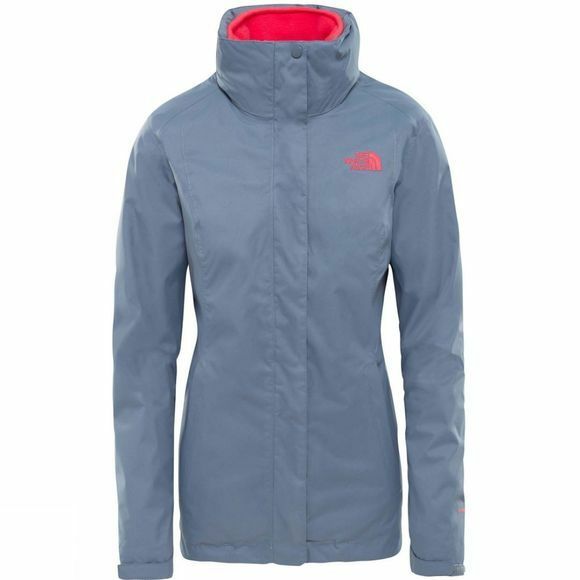 The inner jacket provides warmth and comfort in cool weather and both jackets have soft brushed chin guard linings for excellent comfort. This 3-in-1 jacket serves its purpose in all weather as you can wear just the hooded shell in the rain or combine it with the warm insulated fleece liner in colder conditions.